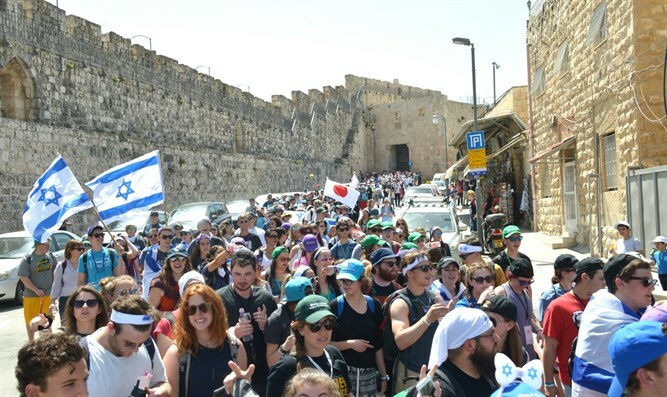 Thousands of students who participated in the 30th March of the Living come to Israel to celebrate the Jewish state's 70th Independence Day. More than 6,000 students arrived in Israel this week following their participation in the 30th March of the Living in Poland last Thursday, April 12, an international procession from Auschwitz to Birkenau led by Israeli President Reuven Rivlin and the top echelon of Israel’s security forces to mark Holocaust Memorial Day (Yom Hashoah). The young participants, both Jews and non-Jews from over 40 countries from around the world, explored the journey from tragedy to renewal by spending the week visiting historical sites, nature reserves and Jewish National Fund forests, and meeting with Israelis from across the country. On the eve of Tuesday, April 17, Israel’s Memorial Day (Yom Hazikaron), the students participated in memorial ceremonies run by local municipalities. The next day, they visited military cemeteries together with bereaved Israeli families. On Thursday, April 19 at 12:30 pm, the students joined thousands of other students from across Israel in Jerusalem’s Safra Square to take part in a festive Independence Day (Yom Haatzmaut) celebration. 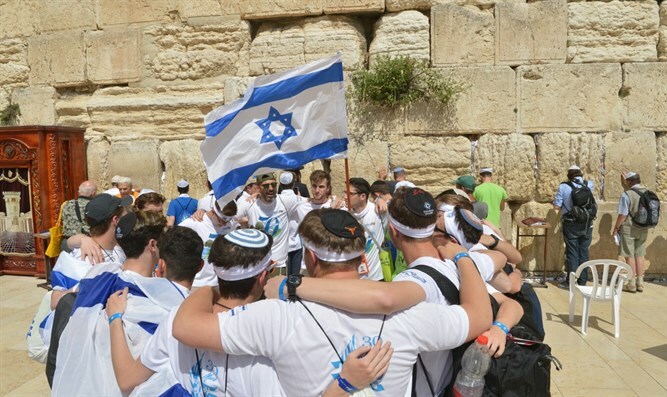 Following lively dancing to classic and modern Israeli music, the participants marchr to the Western Wall for a mass communal prayer for the welfare of the State of Israel. Later that evening, the week-long educational program will conclude with a large-scale celebration to mark Israel’s 70th anniversary at the Armored Corps Memorial and Museum in Latrun. The International March of the Living is an immersive Holocaust education experience – the largest of its kind – that brings tens of thousands of individuals to Poland every year to examine the roots of prejudice, intolerance and hatred. The March of the Living is an independent educational program that aims to instill the younger generation with the values ​​of tolerance, acceptance, humanitarianism and mutual responsibility, and encourages activism and volunteerism. Since its inception in 1988, more than 260,000 participants from 52 countries have marched down the same 3-kilometer path leading from Auschwitz to Birkenau on Holocaust Memorial Day as a tribute to all victims of the Holocaust, an event regarded as one of the greatest tragedies in Jewish and human history. Over the last 30 years, high-profile participants have included Israeli Prime Ministers, Presidents, Members of Knesset, Chiefs of Staff, and Ministers, as well as Presidents, Ministers of Education, intellectuals, and educators from around the world.